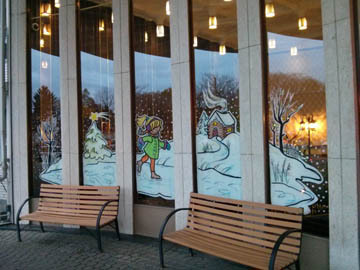 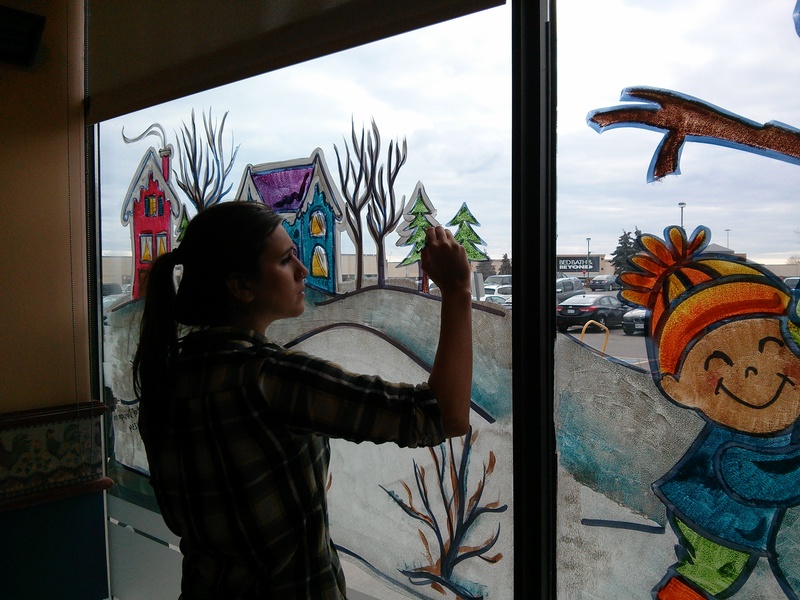 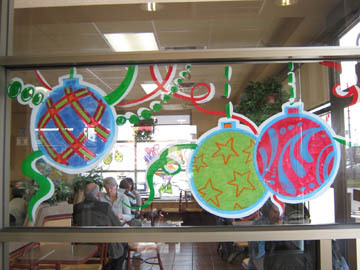 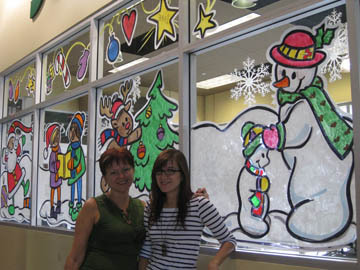 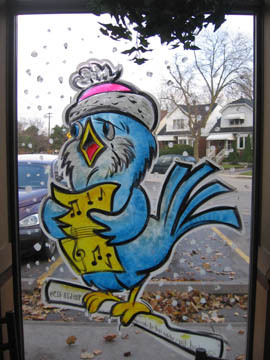 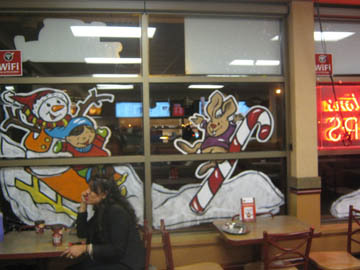 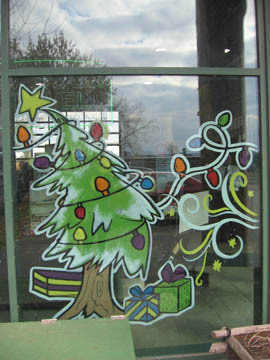 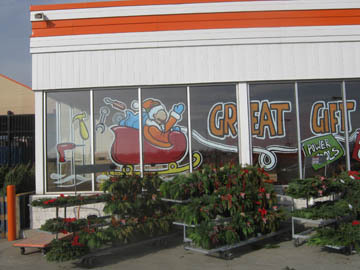 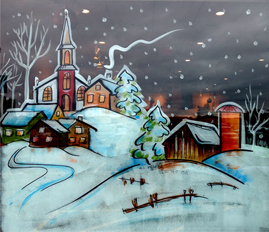 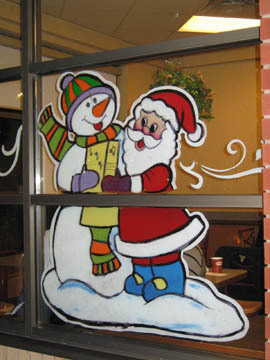 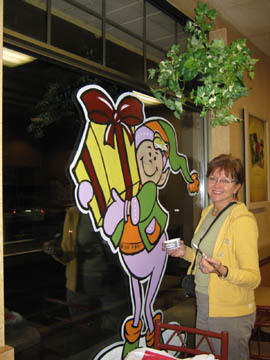 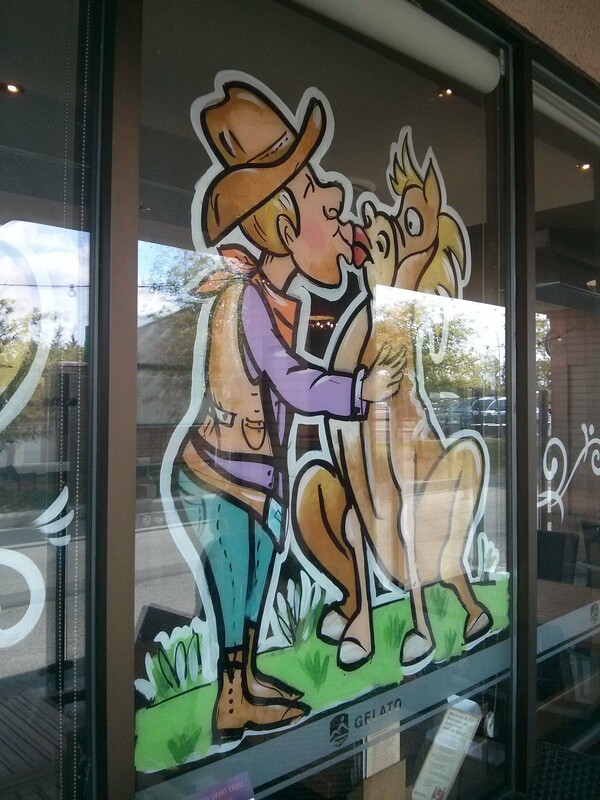 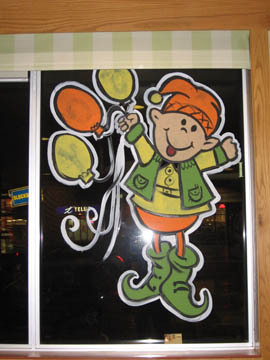 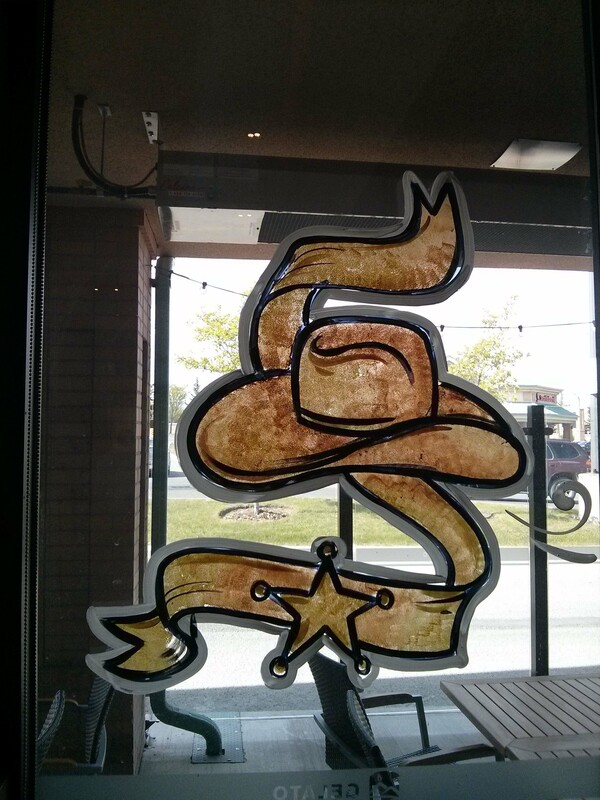 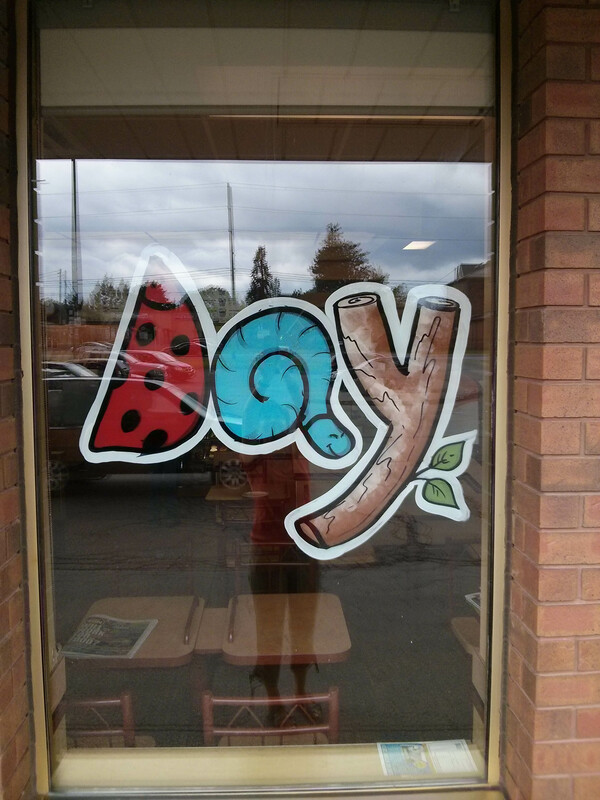 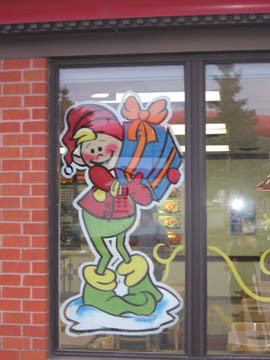 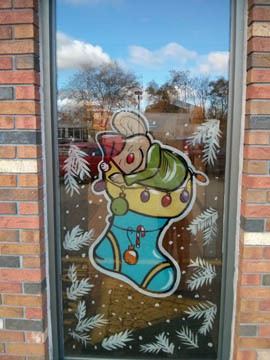 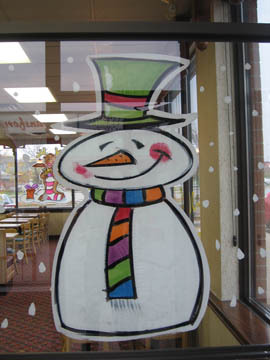 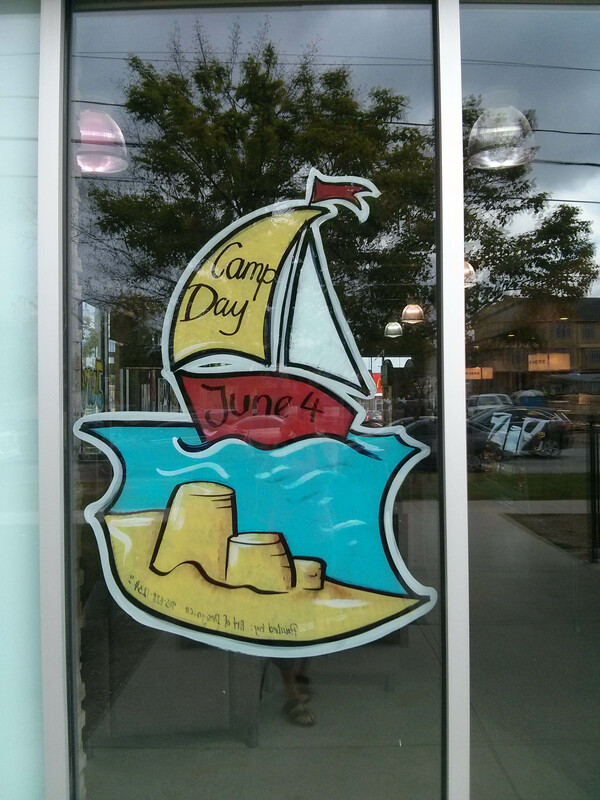 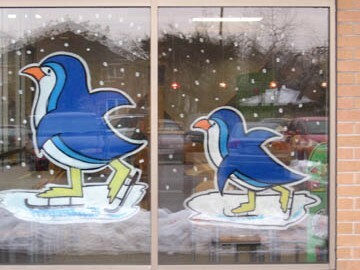 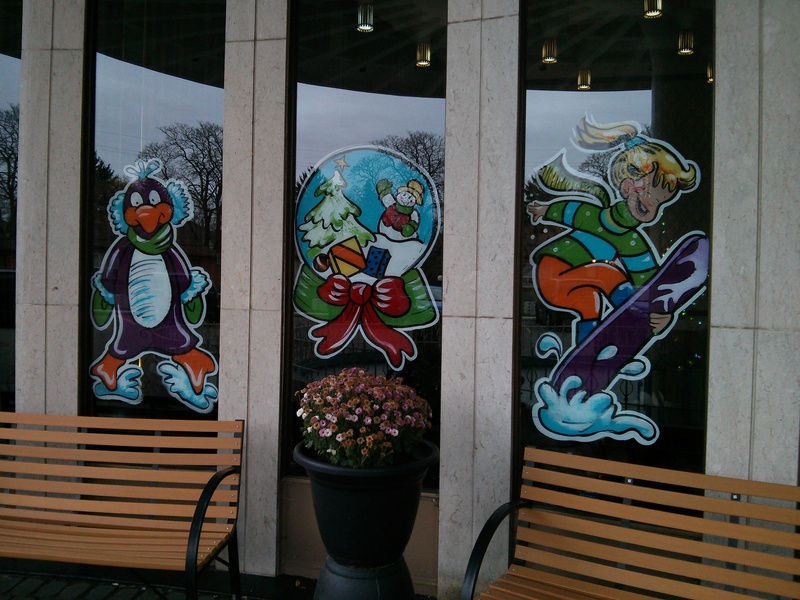 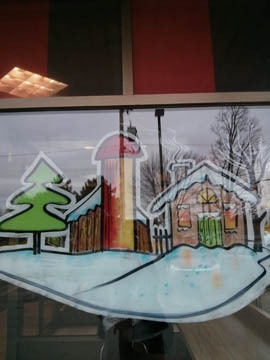 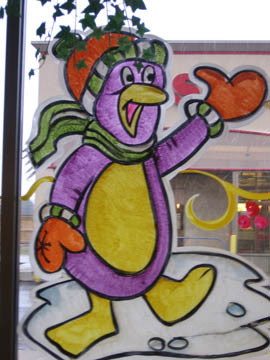 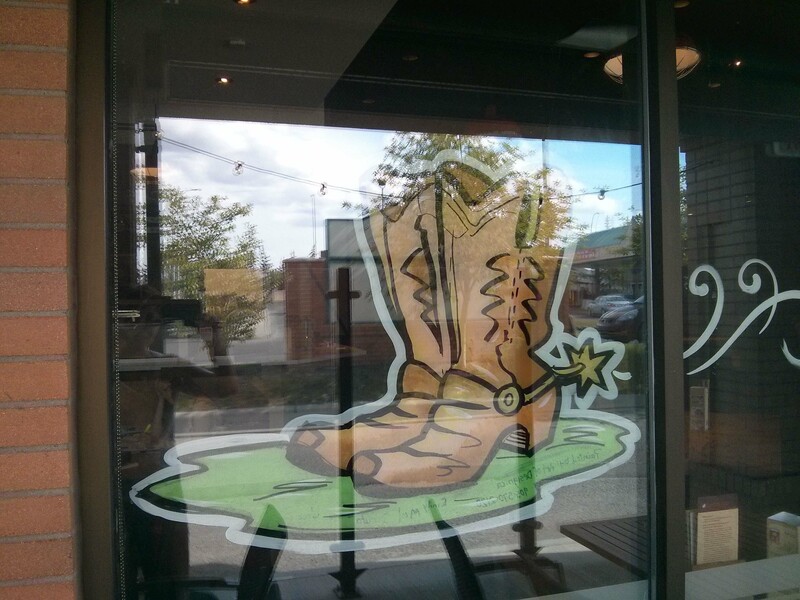 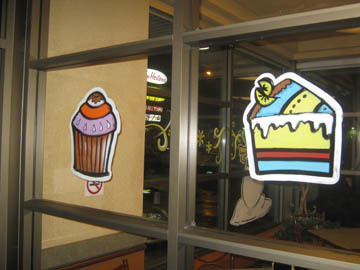 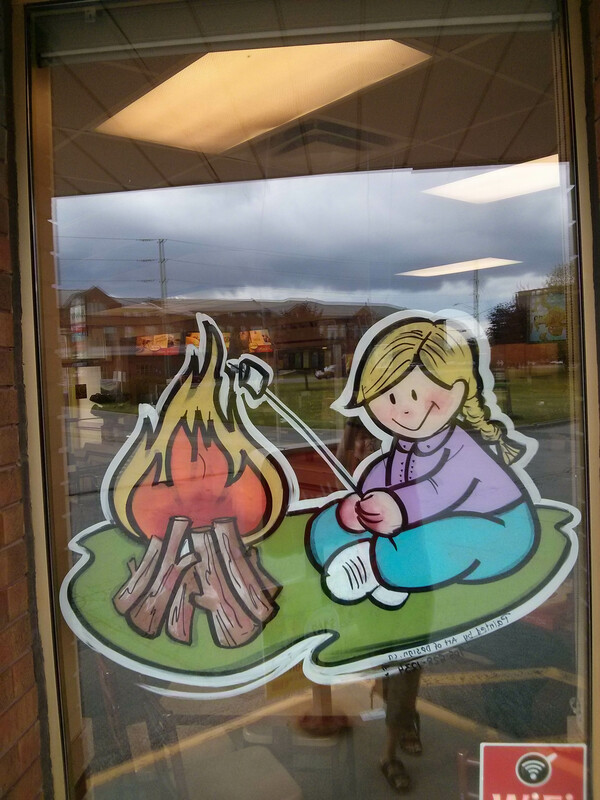 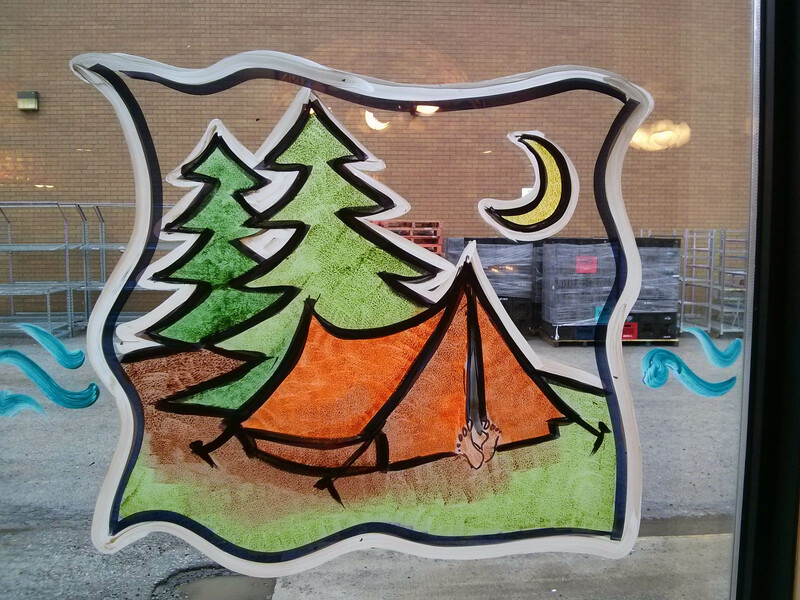 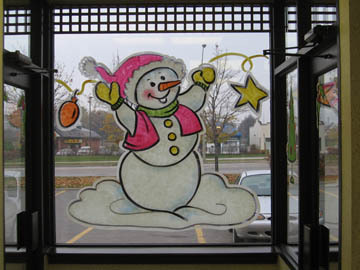 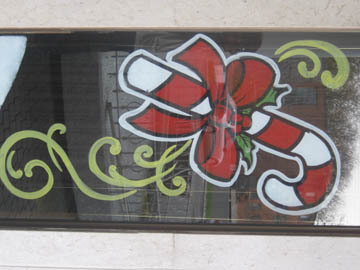 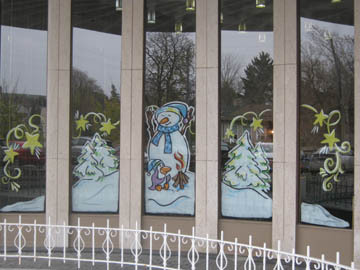 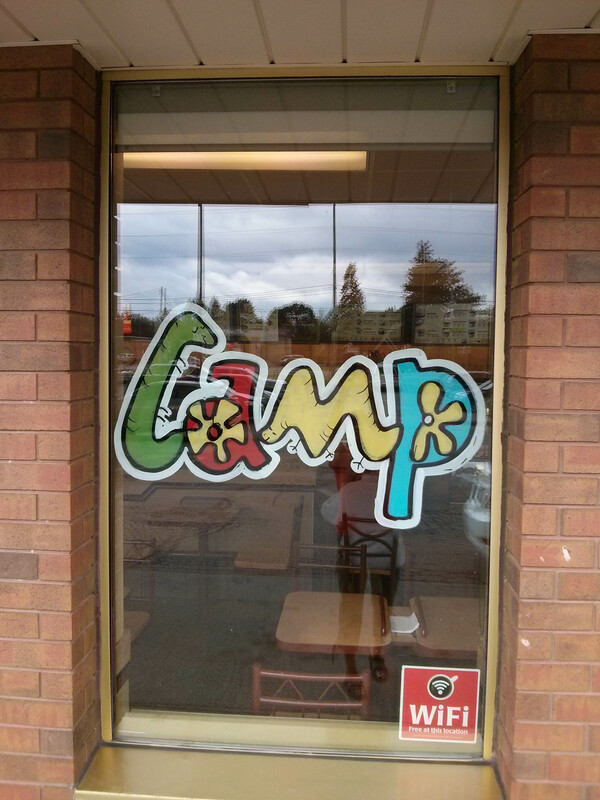 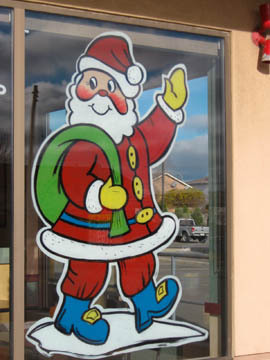 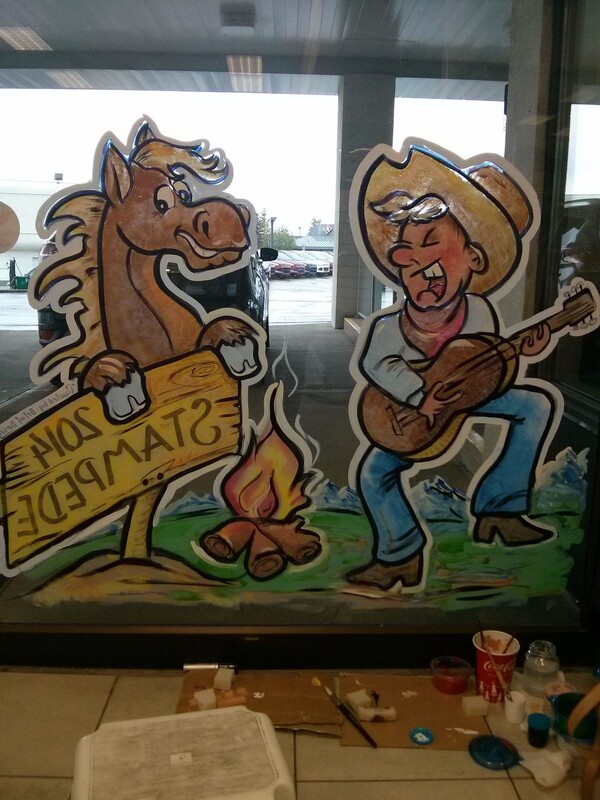 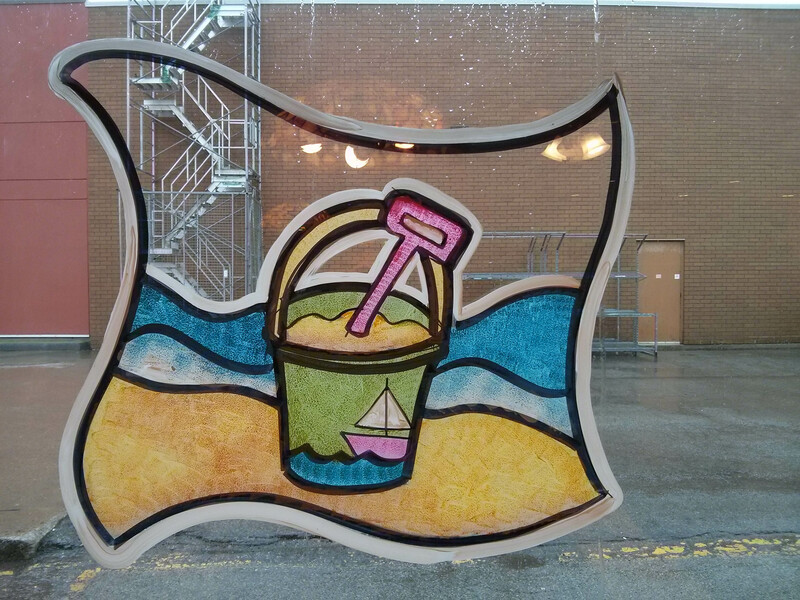 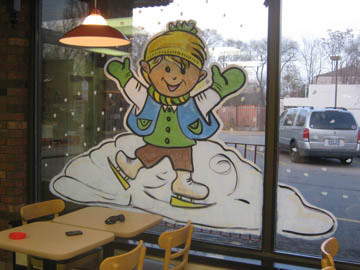 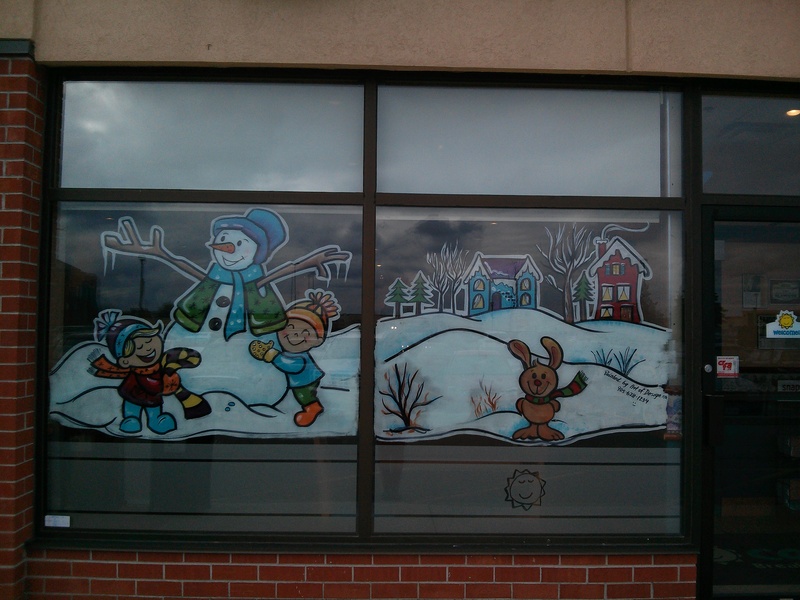 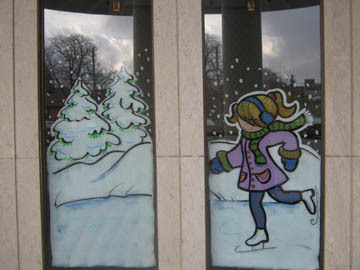 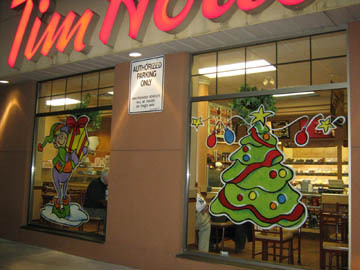 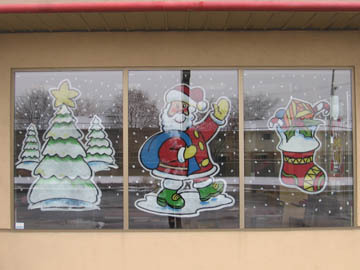 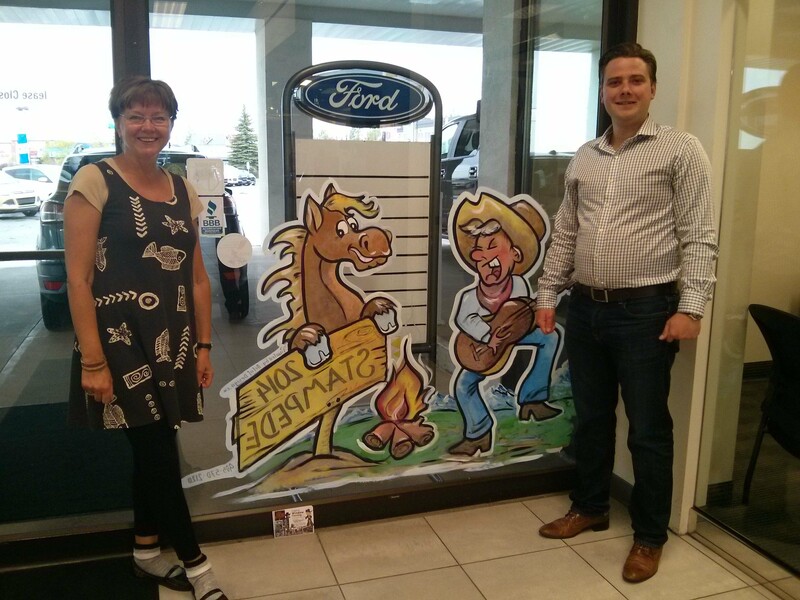 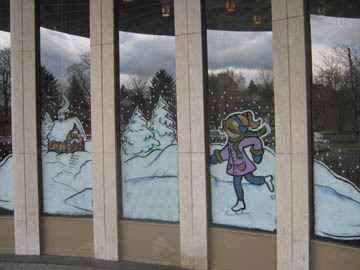 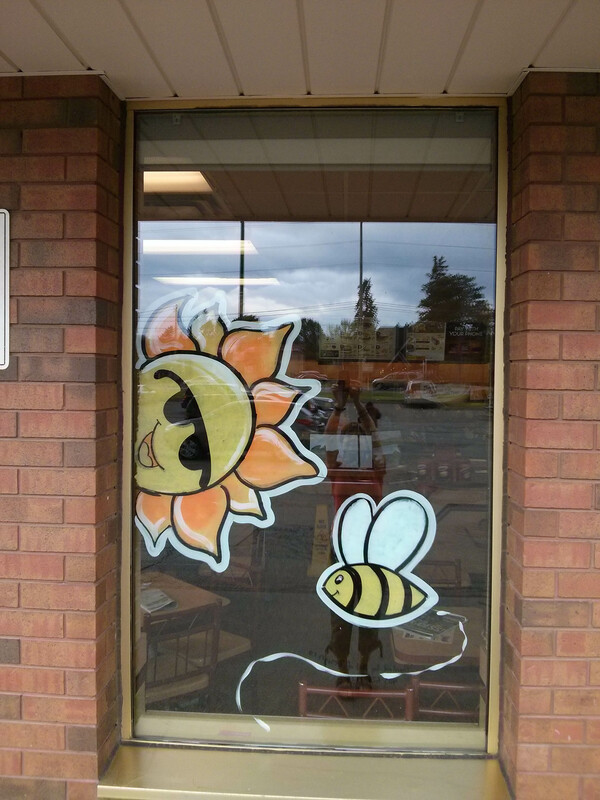 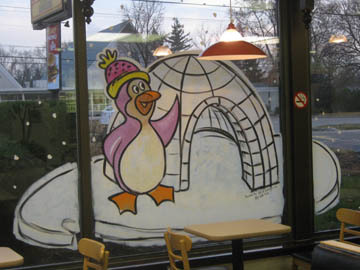 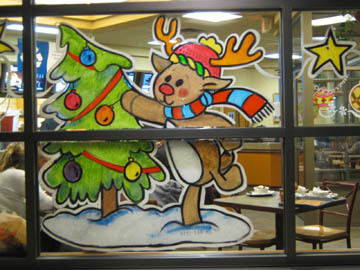 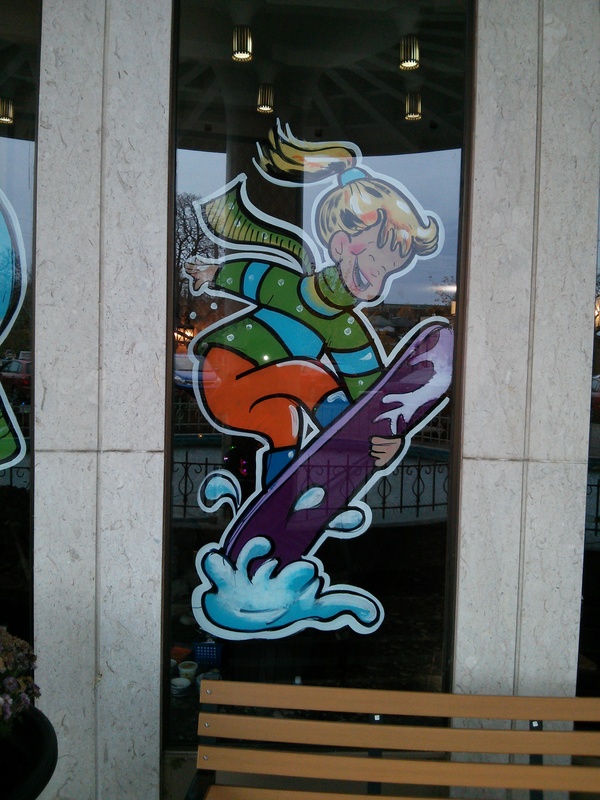 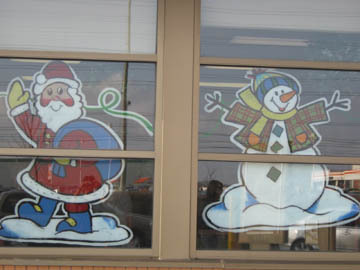 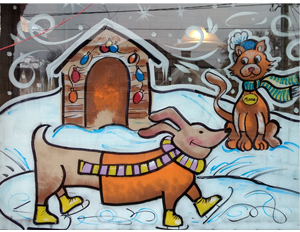 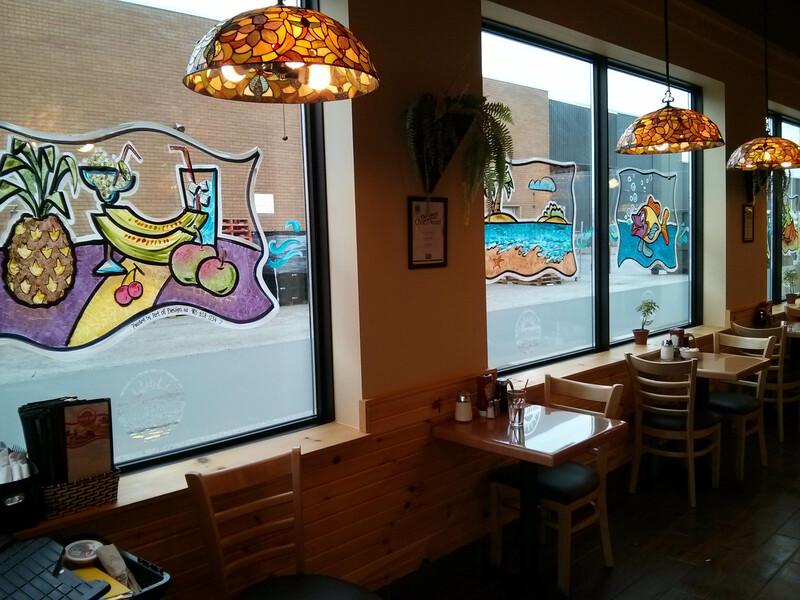 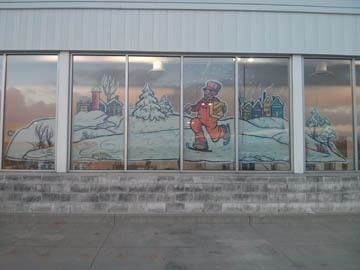 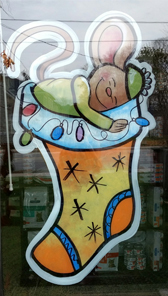 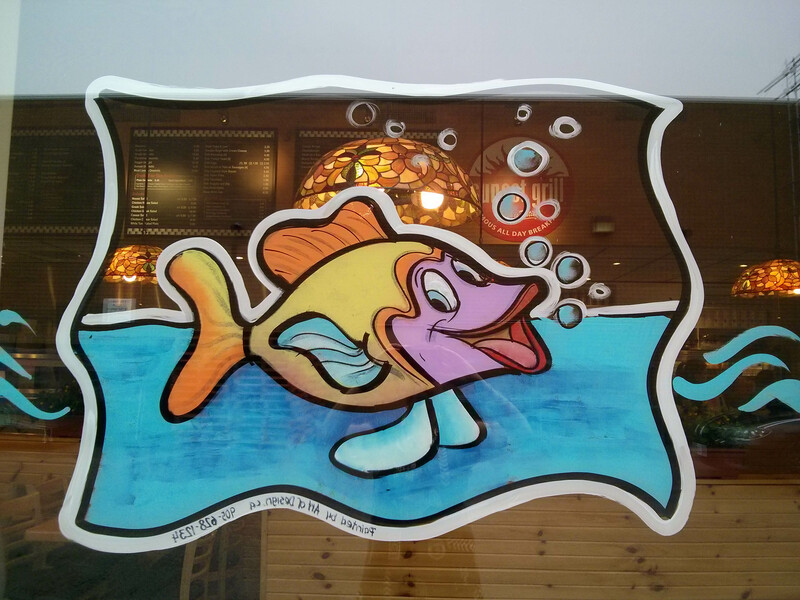 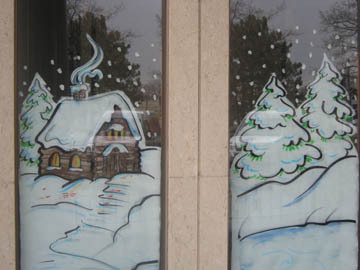 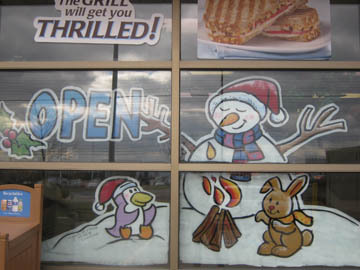 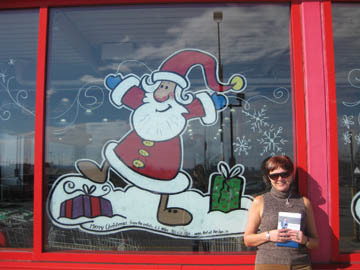 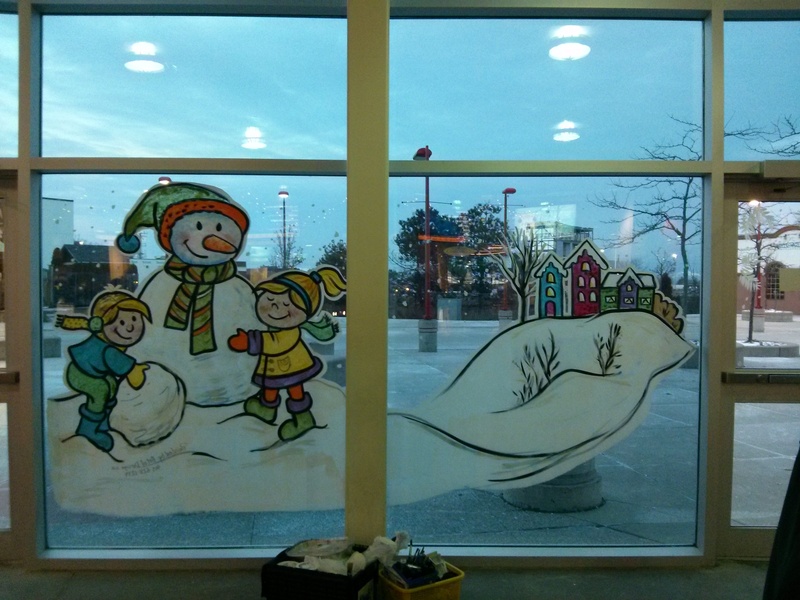 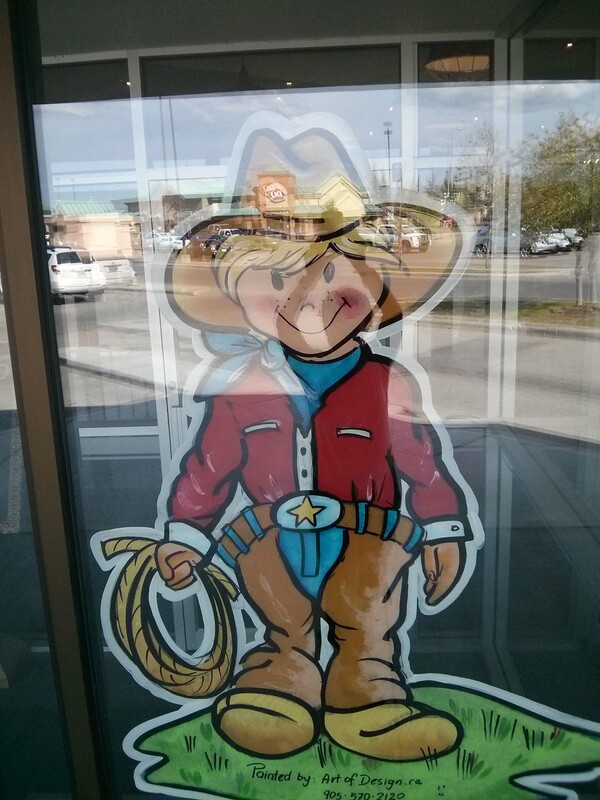 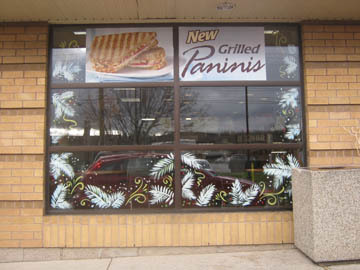 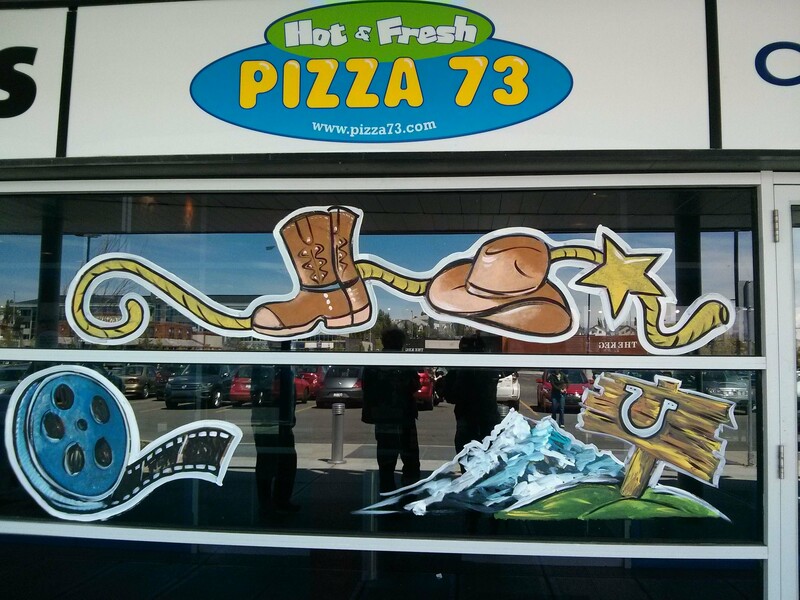 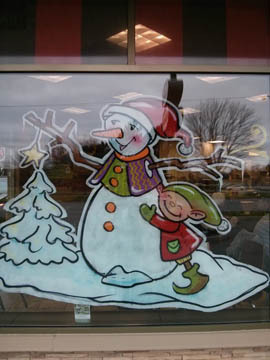 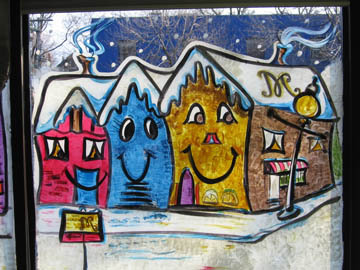 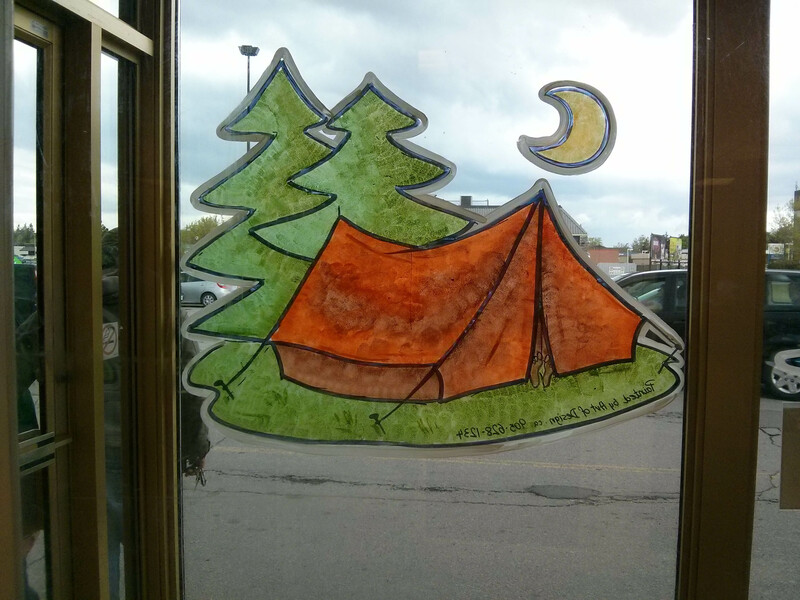 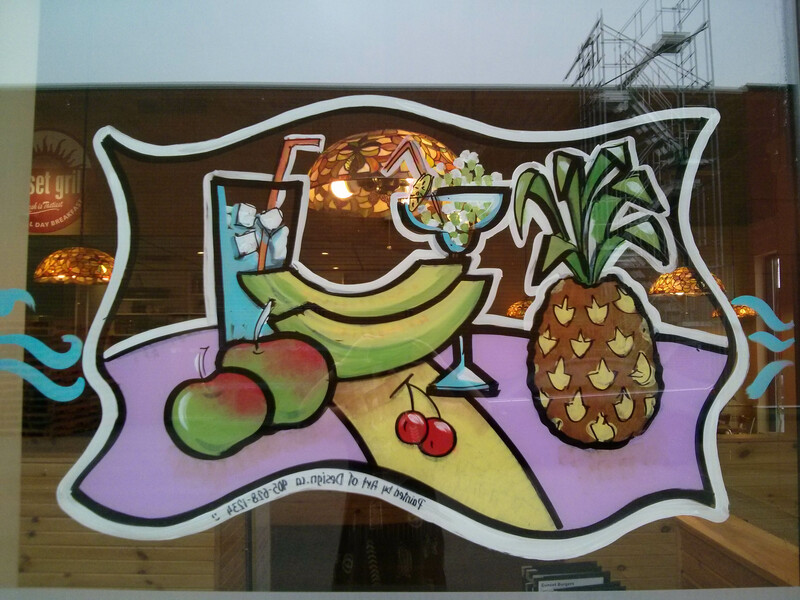 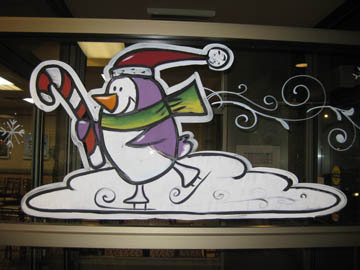 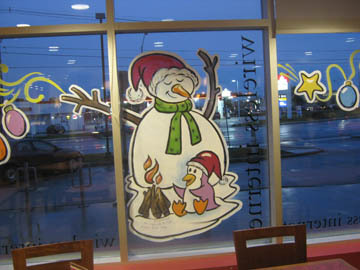 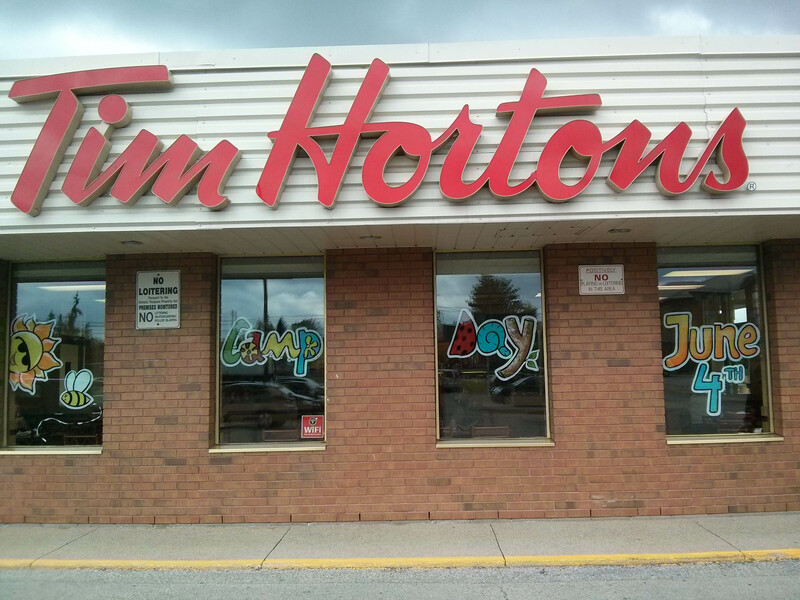 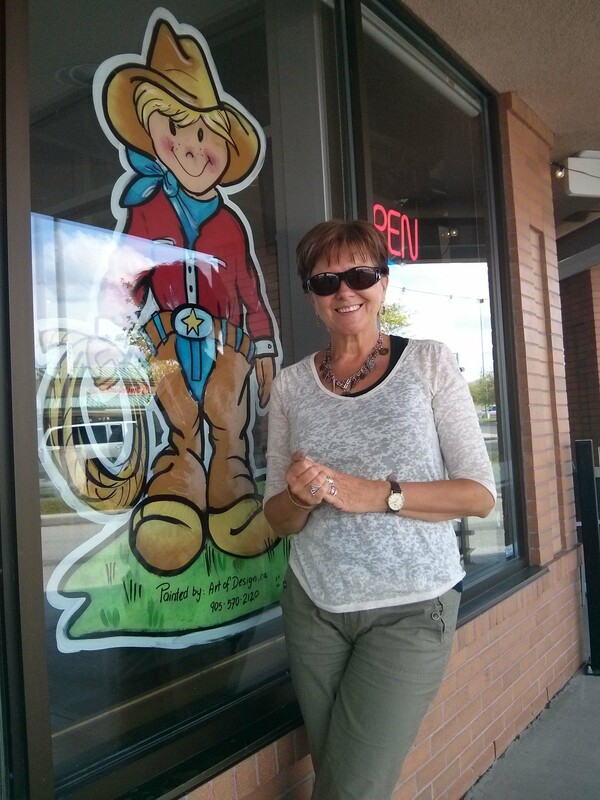 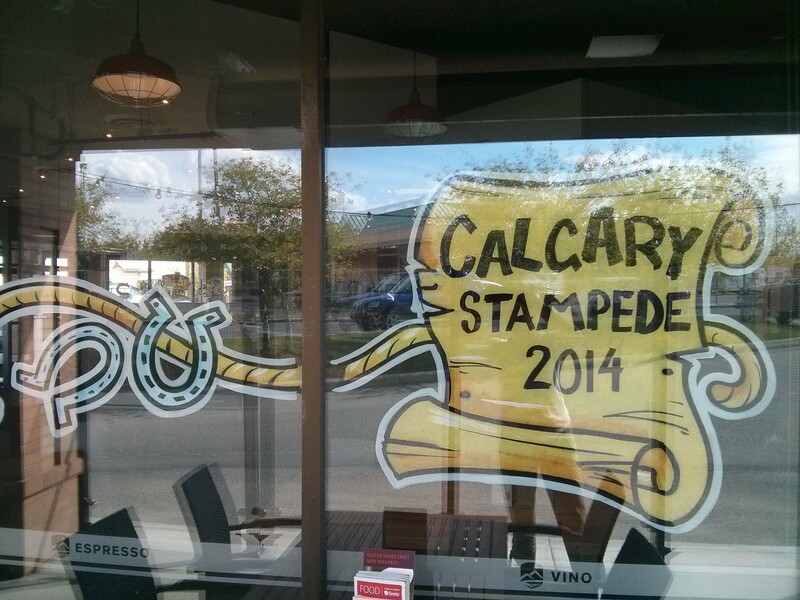 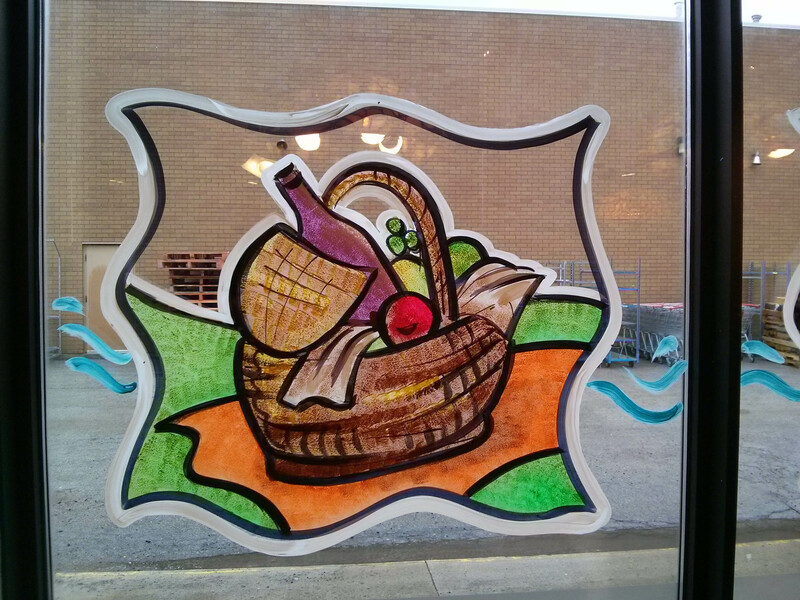 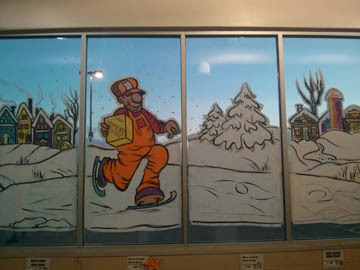 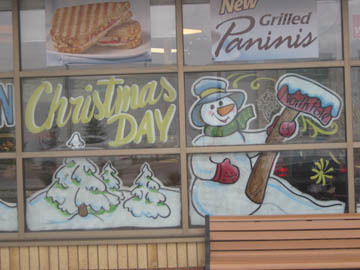 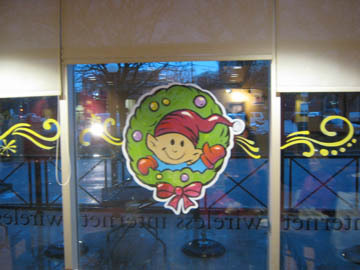 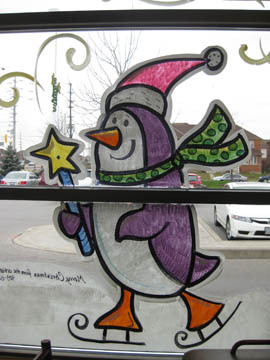 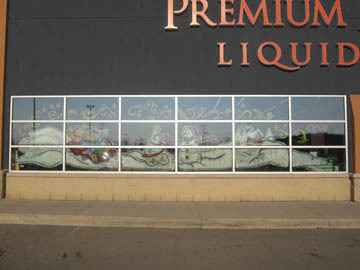 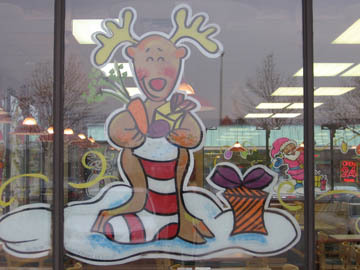 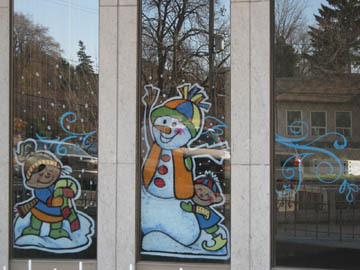 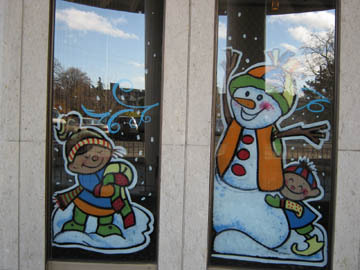 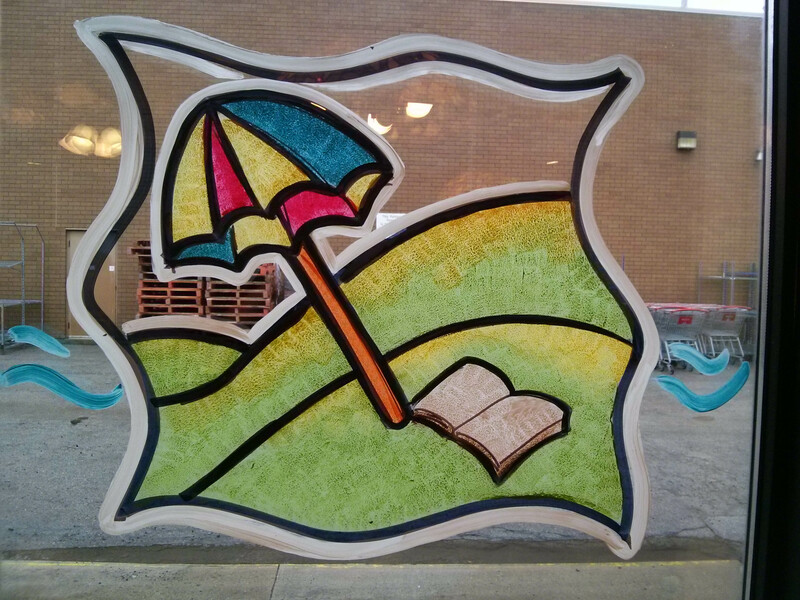 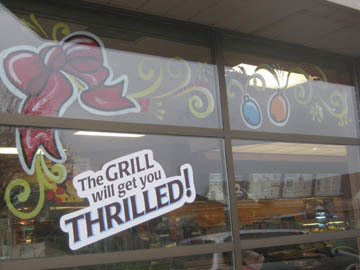 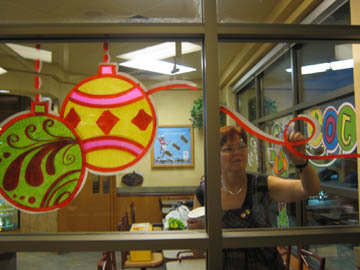 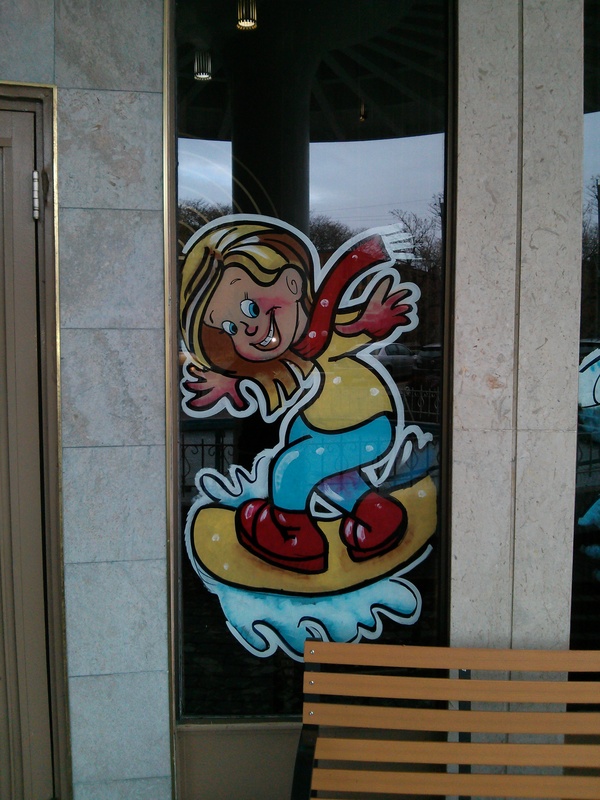 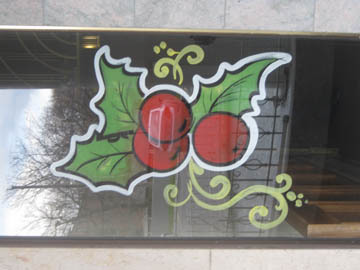 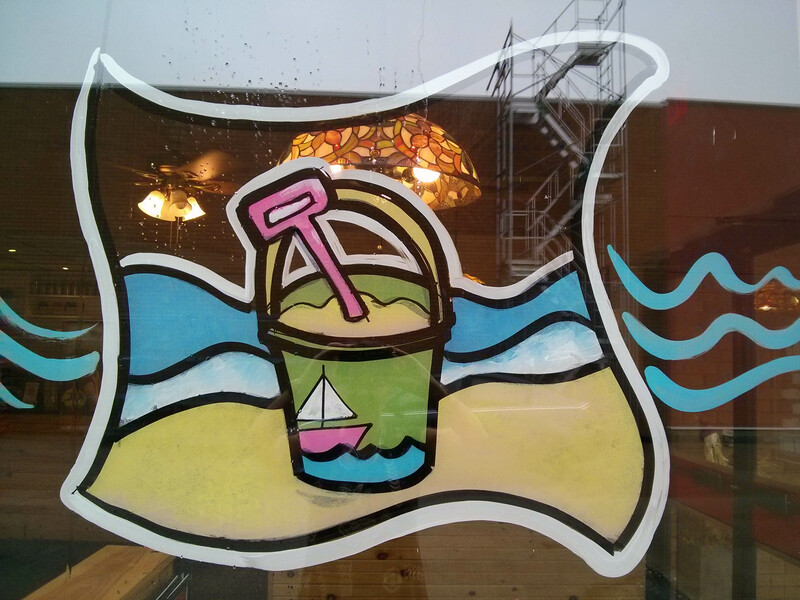 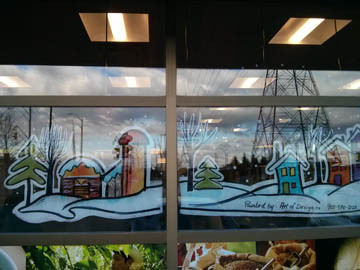 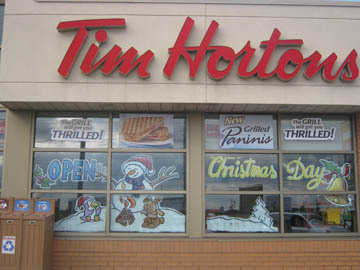 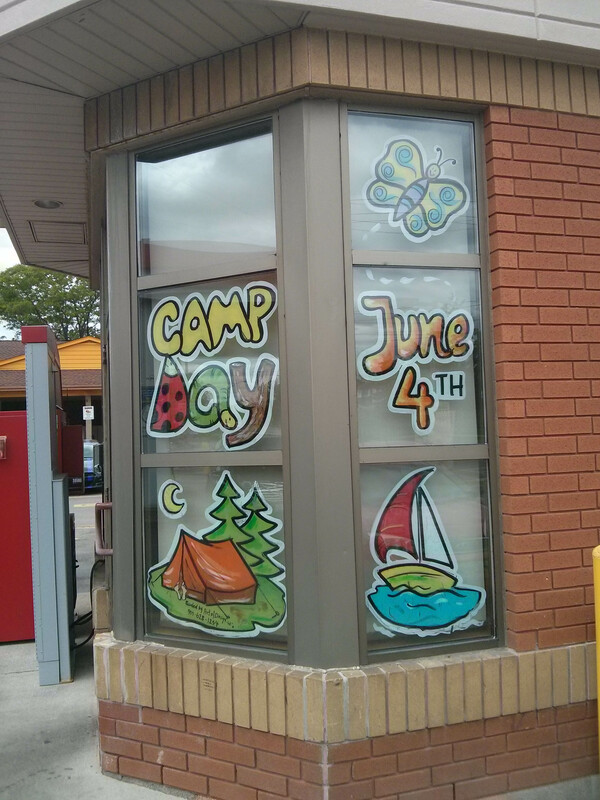 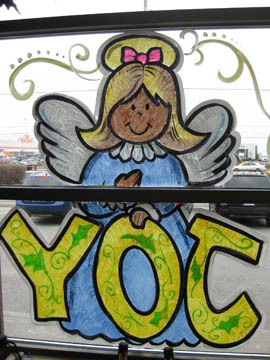 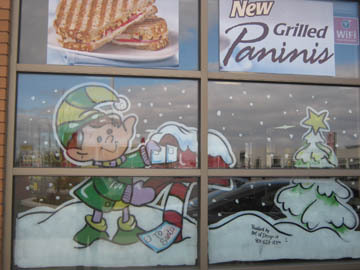 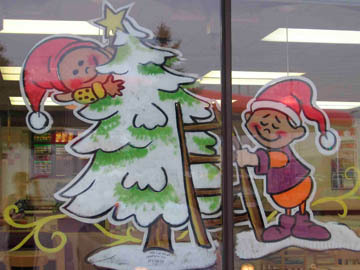 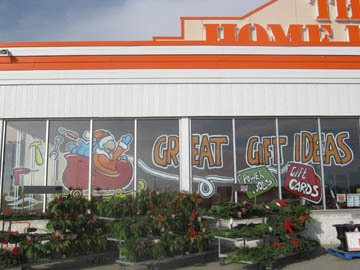 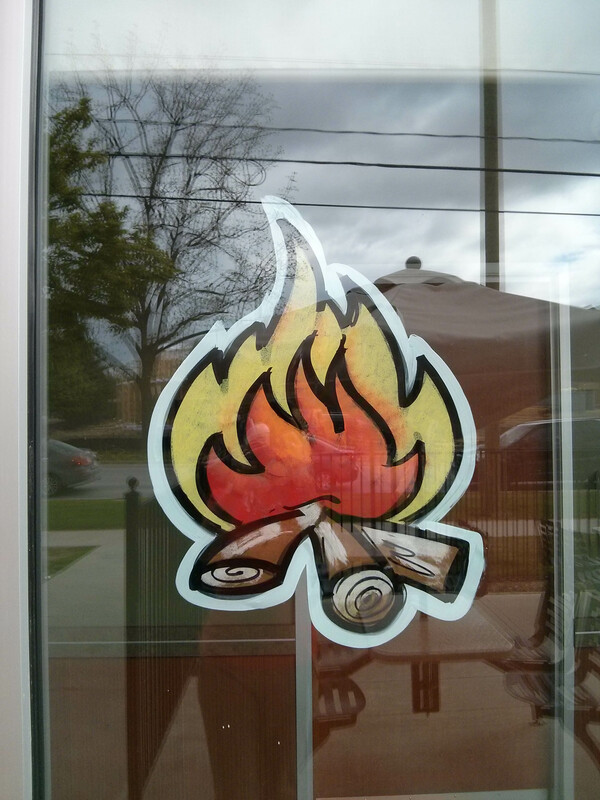 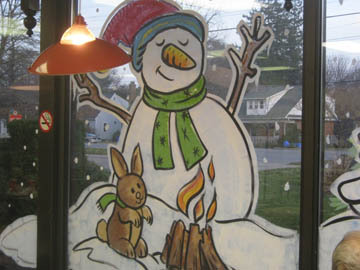 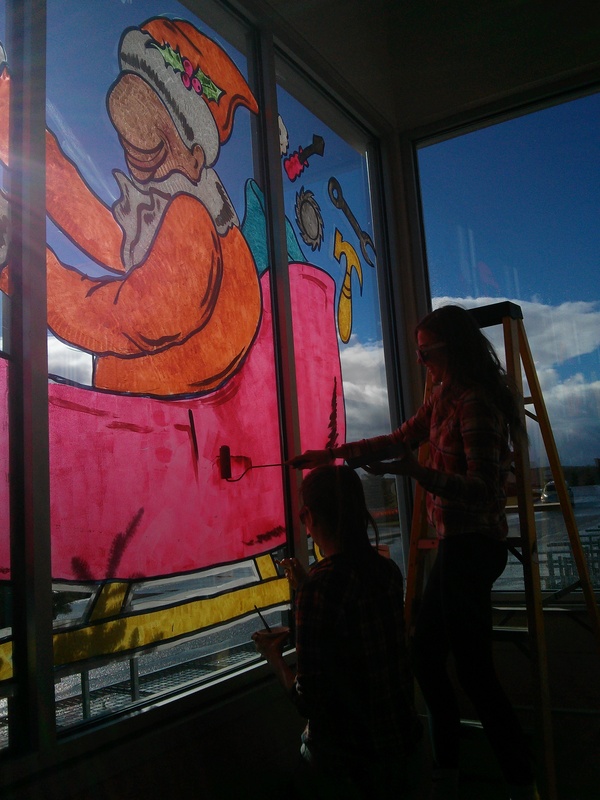 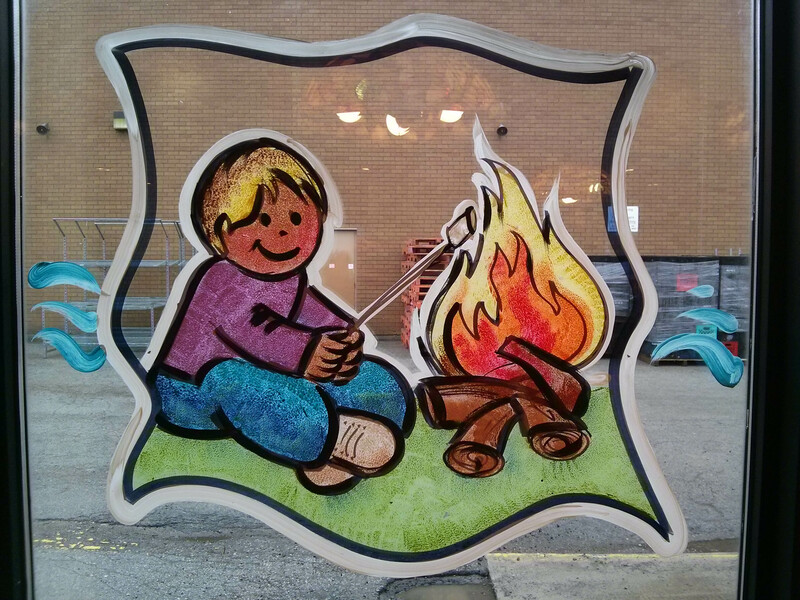 Book your decorative window painting today. 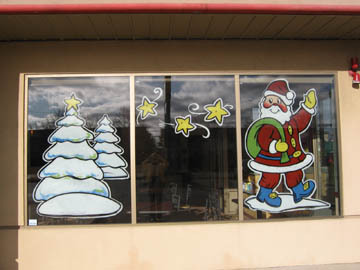 Painted by professional artists, finished all in one day, all materials included in price. 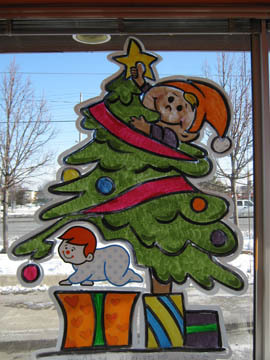 We only use vibrant acrylic paints. 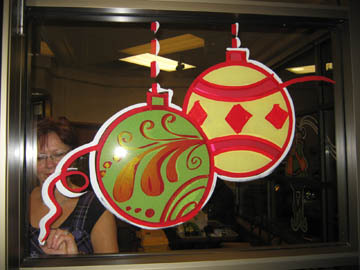 Basic design included, custom designs extra. 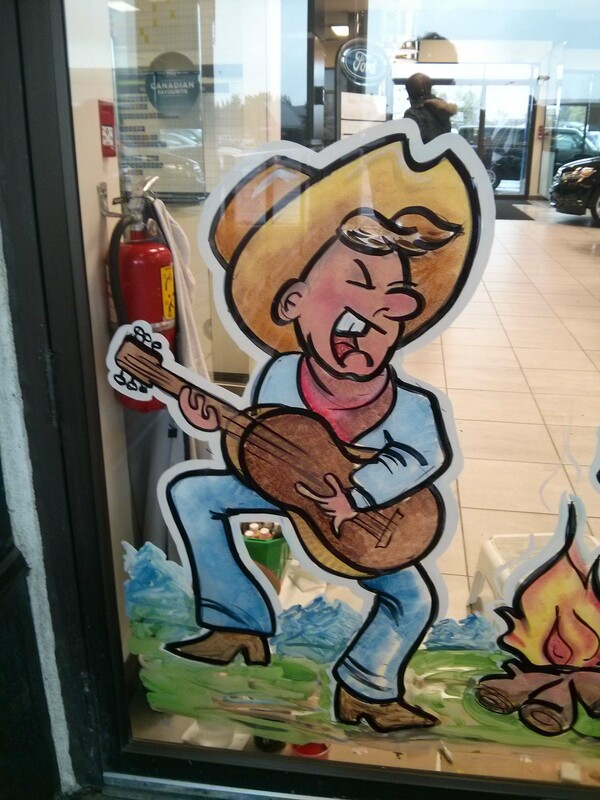 Minimum charge $350. 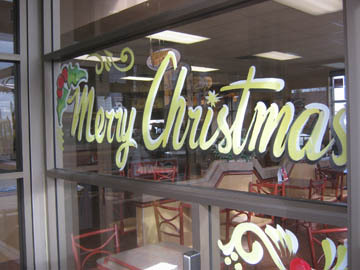 Large or lot of writing could be extra charge. 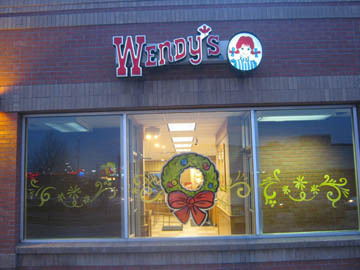 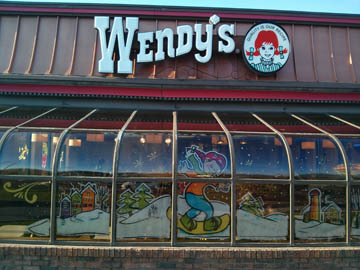 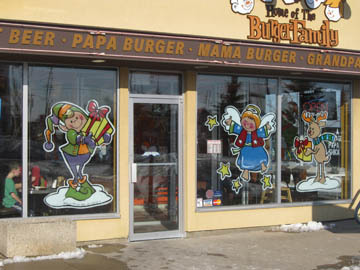 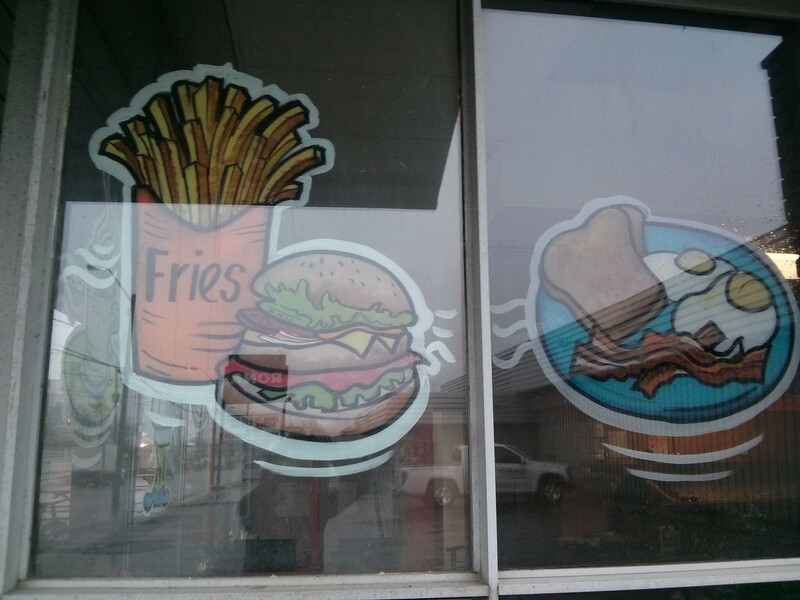 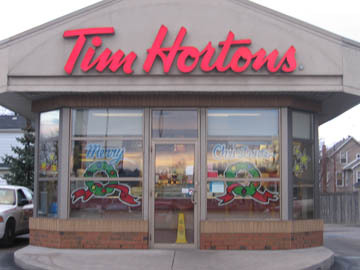 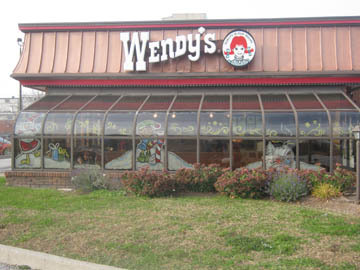 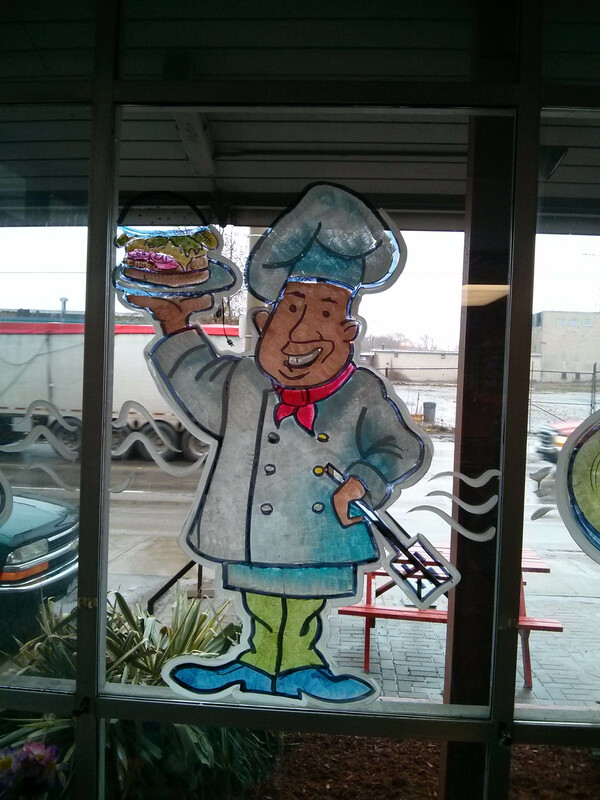 Call or email us for a quote (Average fast food restaurants - $500- $600 price range). 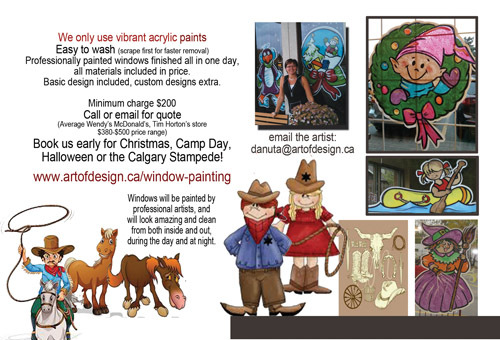 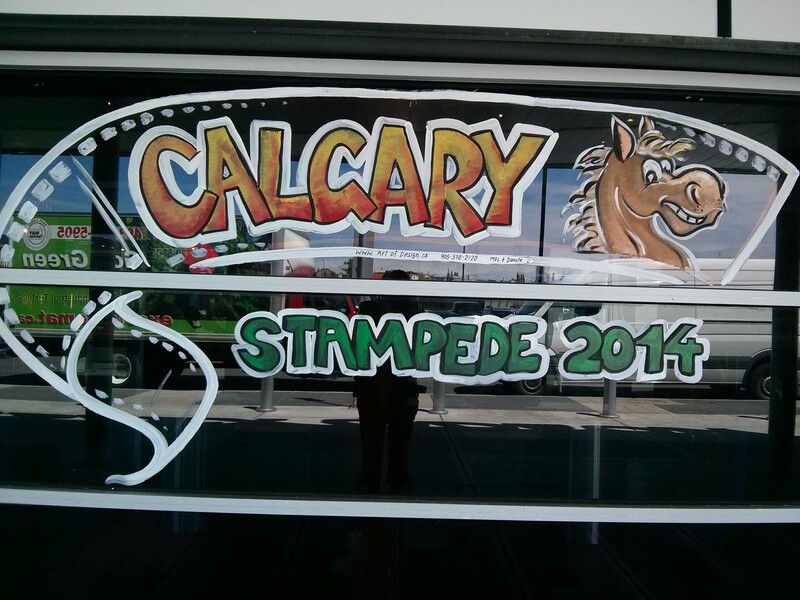 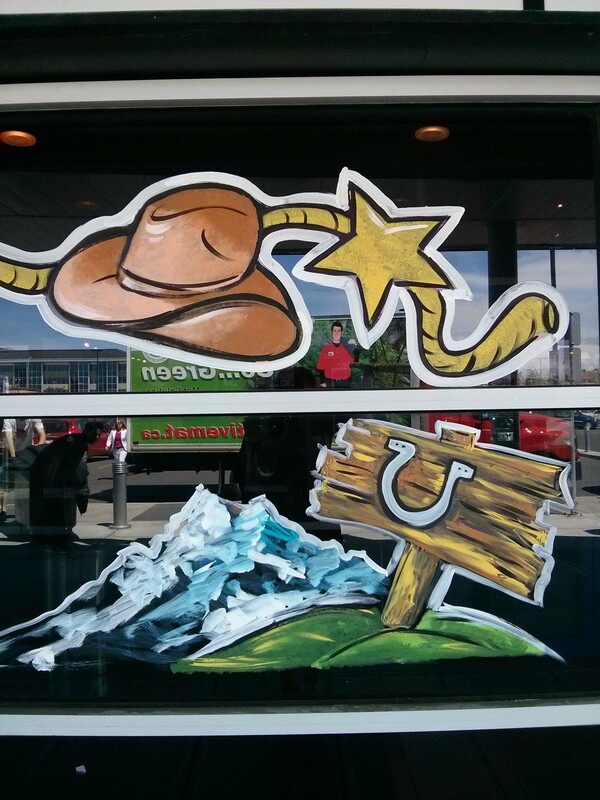 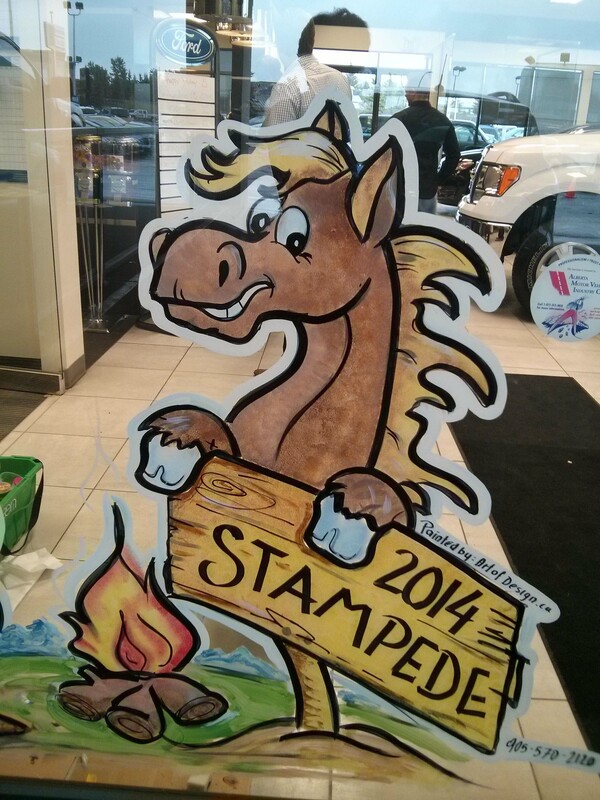 Book us early for Christmas, Camp Day, Halloween or the Calgary Stampede! 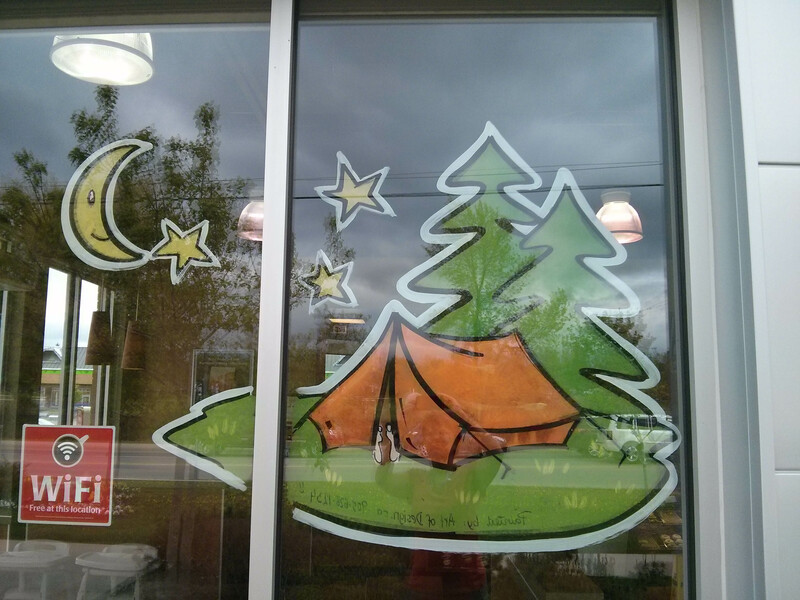 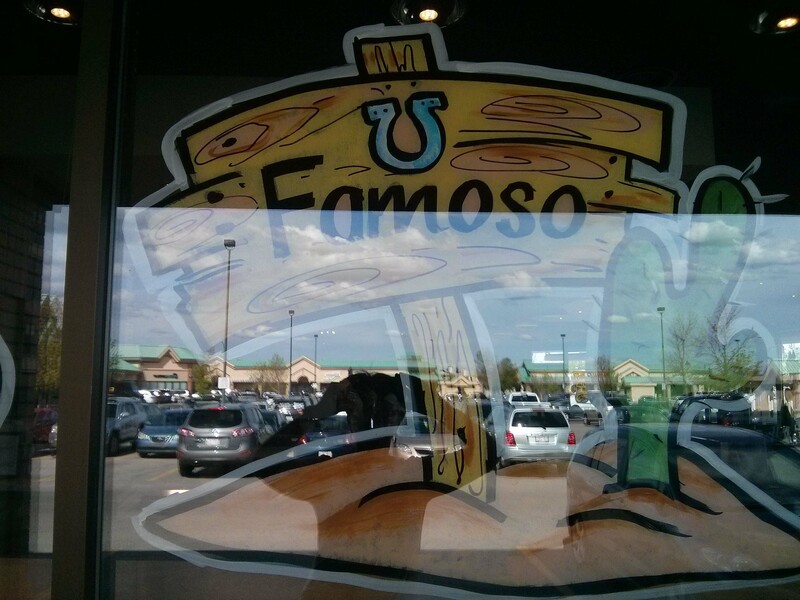 Our work looks amazing and clean from inside and out, during the day and at night.